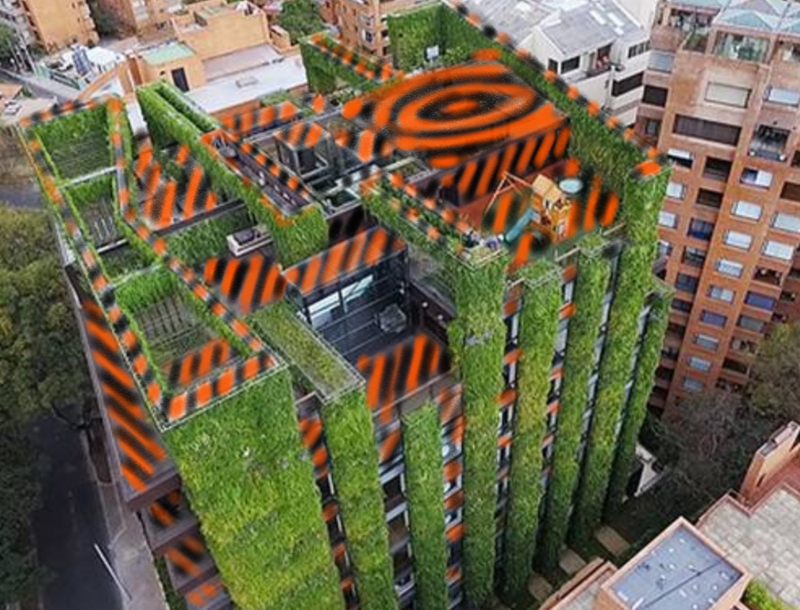 Hello hello......vertigo garden at Santalaia Building in Bogota. worth checking out the link in the picture credit for info on the project. It's a garden called Vertigo. Very nice, and very cool. Love the vertigo look. Karen.